MONTREAL, QUEBEC--(Marketwired - April 19, 2016) - Urbanimmersive Inc. ( "Urbanimmersive" or "UI") (TSX VENTURE:UI), the real estate content marketing marketplace, is pleased to announce the signing of a reseller agreement with Voyou Communication. The reseller agreement will allow Voyou Communication to integrate Urbanimmersive's content management system and marketplace solution to its service offerings. The new Value Added Reseller (VAR) program of Urbanimmersive now allows marketing agencies and real estate website developers to offer a turnkey solution to their clients in order to simplify the production and publication of real estate content on their blogs, social networks and newsletters. Producing original real estate content represents a challenge for the majority of real estate professionals due, among other things, to the writing of original texts, to the finding of inspiration, to linguistics, grammatical and stylistic writing rules and the challenges of formatting the content for web publication. Using an API (Application Programming Interface) developed by Urbanimmersive, real estate website developers can now integrate the content management system of Urbanimmersive into the real estate blog of their customers. In doing so, their customers get access to all features and services of Urbanimmersive's real estate content marketplace specifically designed to simplify production, collaboration, management and publication of real estate content. The new Value Added Reseller program is part of Urbanimmersive's strategy to make of its content marketing marketplace the reference in the industry for the production and publication of original real estate content. By allowing real estate website developers to easily integrate Urbanimmersive to their product offerings and generate revenues from it, this reseller program allows Urbanimmersive to reach more real estate professionals quickly. 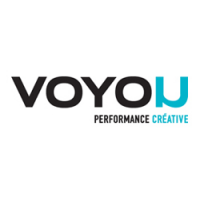 Voyou - Creative Performance, is an integrated communications agency with over 30 years of expertise, 30 experts and 327 active clients. The agency has developed a unique expertise in real estate, particularly with large home builders. From advertising campaigns to web development, marketing strategy and social network management, Voyou Communication is a reference in Quebec. Urbanimmersive is a content marketing platform for real estate professionals. The Company connect real estate professionals, photographers and writers in order to simplify and optimize original content production workflow. Urbanimmersive enables is customers to leverage their marketing investment while increasing productivity, competitiveness, their web visibility, consumer engagement with their brand and ultimately, their revenue.